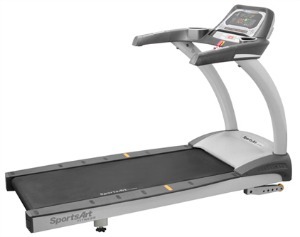 The list price on the SportsArt Fitness T631 treadmill is $5,299, but you can usually find it for around $3,800. The savings is considerable and makes this a viable option for anyone looking for a true commercial-level machine for in-home use. The SportsArt Fitness T631 treadmill has fifteen different programs, including programmable interval training and two programs based on targeted heart rate to keep things interesting. The console tracks which muscle groups you're using on the ActiveZone display as well as dot-matrix display of calories burned, calories per hour, METS, incline, time elapsed, distance, pace and both actual and target heart rates. UPDATE: As of 2016, the T631 is no longer available. It was replaced by the T635. You can check out the latest model lineup here. 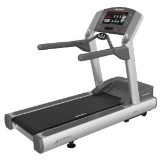 If you're looking for a treadmill that gives you the stamina of a genuine commercial quality treadmill, the SportsArt Fitness T631 treadmill delivers everything and then some. It's incredibly quiet, incredibly smooth and the MyFlex deck cushioning system reduces heel strike impact significantly to preserve your joints. Reviews are particularly enthusiastic about the 4.0 horsepower motor with the FlowTec cooling and filtration system that keeps things cool and running smoothly even if you put up to six hours a day on the motor. A few reviews noted that while SportsArt Fitness claims that the 4.0 horsepower motor uses up to 32% less energy than the next commercial grade motor, this is a hard thing to gauge. What all reviewers did love that really set this machine apart were the WFI Firefighters Wellness Initiative ranking and the variety of official fitness tests you can pit yourself against, including Gerkins & Bruce, Army and Marines. We're surprising ourselves a bit when we say this, but we do love this machine and if you can find it on sale, you're getting the same superior parts and design as any commercial product on the market. That being said, we wouldn't pay full list price for it. 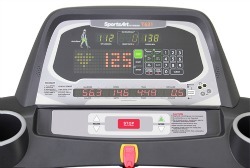 What do we love about the SportsArt Fitness T631 treadmill? The increased flexibility and choice of programs, the improved warranty on the motor, parts and electronics and the chance to see just how in shape we are according to military guidelines. That's just cool. Did we mention the warranty? Even if you run this into the ground, the motor and the mechanics are covered for life. 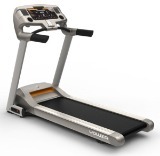 If you can find the T631 treadmill on sale for $4000 or less, go for it.